This year’s workshop for the Artisan Shop at the Spring Exhibit of the Nature Artists’ Guild of The Morton Arboretum will be very special. 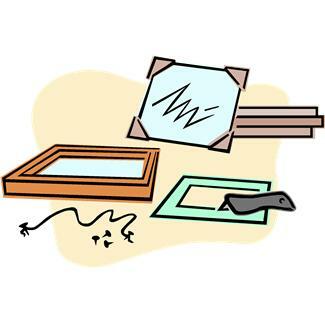 Not only will we be creating items for our fundraising table at the upcoming exhibit, (please bring acrylics, brushes and a water container, as well as sketches or reference materials in your choice of subjects from nature), we will also have the chance to learn about framing from professional framer (and member), Evelyn Grala! From 9:30 until noon, we can work on our handmade items for the exhibit, and then from 1 pm until 3 pm, Evelyn will show fellow Nature Artists’ Guild members – how to choose frames that will enhance your artwork, how to creatively re-use frames, how to choose standard frame sizes for ease and economy, the do’s and don’ts in preparing for an exhibit, and finally, a framing demonstration for the “do-it-yourself” artists! If you can’t stay for the whole workshop, please stop in any time between 9:30 am and 3 pm, work as little or as much as you like, or even take an item home to work on. The workshop takes place on Saturday, March 23, 2013 in Classroom C at Thornhill. Update – Please enjoy these photos, thanks to Carol Carls, of the Spring Workshop participants hard at work! This entry was posted in Classes and Workshops, Events, Exhibition Dates & News, Meeting Information, Volunteer!. Bookmark the permalink. I wonder why they only use acrylic paint. It eliminates pencil and watercolor artists. Otherwise I would go. We could always paint rocks to sell. I think the reason that acrylic is recommended is that it is reasonably compatible with most surfaces that we would be normally be working on (wood, plastic, glass, fabric). If you have a project that would work well with pencil or watercolor, that would be great! Nancy Thyfault and Brenda Spitzer are planning this workshop, so you may want to contact either of them directly (you can find their contact information in your Yearbook) if you have any ideas for projects. They are always looking for new ideas!